I took the Skyline out yesterday to Honjo Circuit for a soukoukai run by Shino Kouba X Amazement. 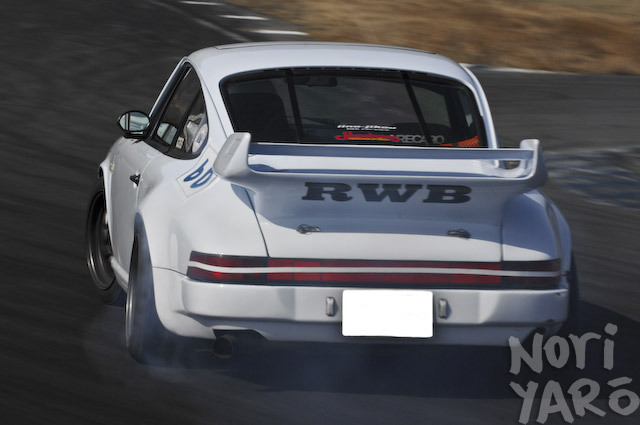 What you’re looking at is a dedicated Porsche touge drift car. 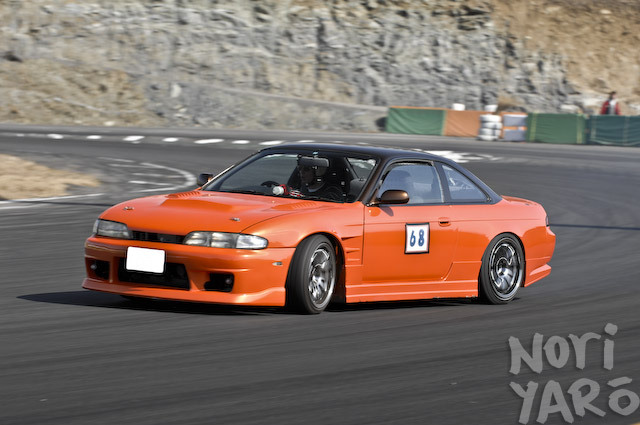 The owner regularly takes it on mountain drift runs, and only brought it to the circuit after a group of his friends who were attending begged him to come. It runs Watanabes on the front and SSR Formula Mesh on the back, and was painted in a light lilac colour by Akira Nakai over at Rauh Welt. The bodywork remains untouched, as the owner said he couldn’t afford one of Nakai’s widebody fender kits just yet. Also attending the event was my fellow Australian Andy in his zenki S14 Silvia. The bodywork and paint were all done by Hoshino Car Style up in Gunma, and Hoshino and his girlfriend Minami-chan even showed up for a bit to check out Andy’s driving on the track. Andy always gets his “Blue Steel” face on before a drift. Like the Skyline’s engine, the Silvia’s is still stock, which hopefully means greater reliability, which means more seat-time, which means more fun. It would be nice to have 400hp and do things like this though. Honjo looks like such a awesome track! good to see andy out there, that porsche is sweet as…..
Man, I had that same goddamn hood on my 14. Cool. Haha thanks for the pics Alexi. Blue steel is one of my better looks! you mustn’t have got many good pics of Andy… I feel bad for him being compared to the sick kouki right under his dori pic. Alexi, do you have much info on that Porsche, mods etc? How was he going out there, I imagine it could be quite easy to loop one of them, so you wouldn’t pull too much angle? 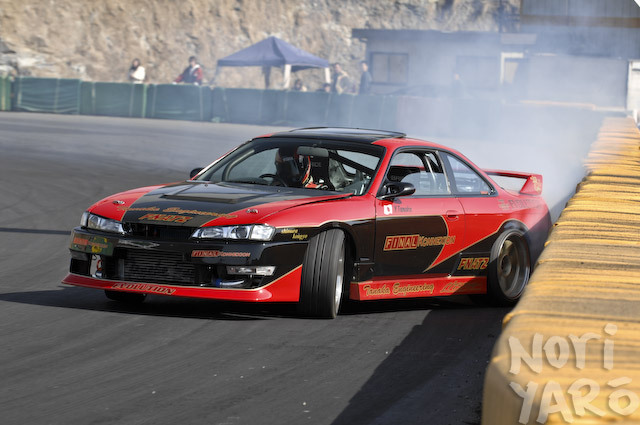 By the way, that s14a is SO HOT!